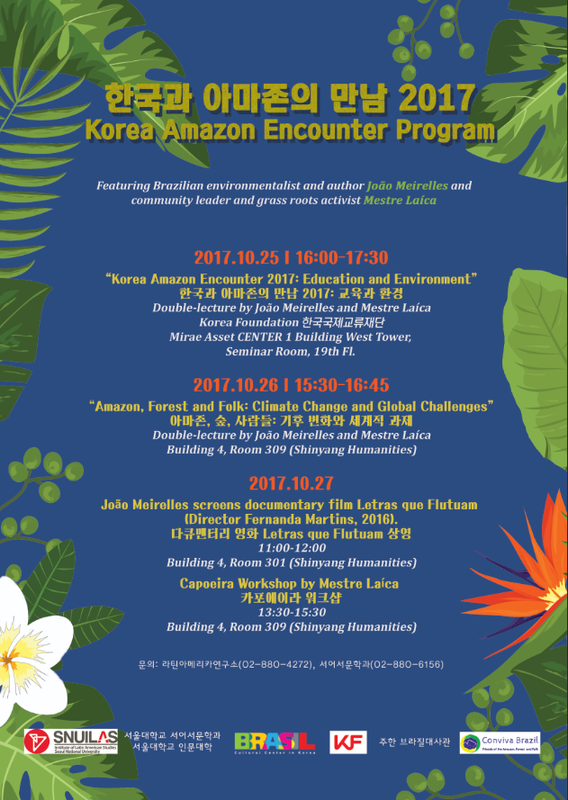 With a blend of cultural perspectives, real life experiences, scientific knowledge and theoretical approaches, this series offers a unique opportunity for students, professors and other interested parties to take part in extensive discussions about the challenges facing the Amazon Forest and its peoples. Featuring Brazilian environmentalist and author João Meirelles (Director of the Instituto Peabiru) and community leader and grass roots activist Mestre Laíca (President of Grupo Zambo Afro-Brazilian martial art/dance capoeira). For more details, visit www.convivabrazil.org. João Meirelles screens documentary film Letras que Flutuam (Director Fernanda Martins, 2016).